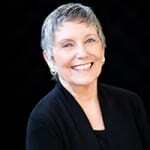 Dr. Rosemary Ellsworth Brown graduated from Smith College as an Ada Comstock Scholar in 1989 and completed her doctorate in counseling psychology at Union Institute in 1993. Her academic research focused on relapse, in particular on why AA and its Twelve Step offshoots proved ineffective for the majority of their members. Dr. Brown's research has been not only academic and professional in nature, but also personal. She attended her first AA meeting in 1968, stayed sober for a year, and then experienced a tragic two-year relapse. She returned to the program determined to understand and solve the problem of relapse and devoted the rest of her professional life, and much of her personal life, to doing so.